First of all, you are not hurting your plants by using an actinic bulb. However, it's probably not doing them any good either. That's because plants use specific wavelengths of light for photosynthesis. These wavelengths are not produced by actinic bulbs, so yes, you would get more results out of a 6700K bulb. As to what Kelvin rating creates the best growth for plants, that's not the measurement you want to look at. Kelvin just approximates the color the light appears to the human eye, and not the wavelengths produced (though they do often correlate roughly). Therefore, it's much more helpful to get a spectral output graph for the bulb in question. 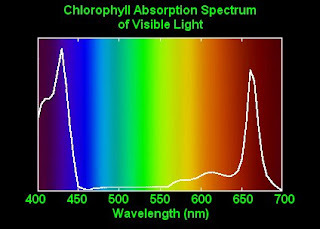 Bulbs that match up with the wavelengths used for photosynthesis will probably be better for you plants. The differences may be too small to notice though, so if you can't find a spectral output graph, just go ahead and buy a light in the 6700K-10000K range and it should put out the approximate wavelengths needed. That dual 6700K/10000K bulb sounds perfect. 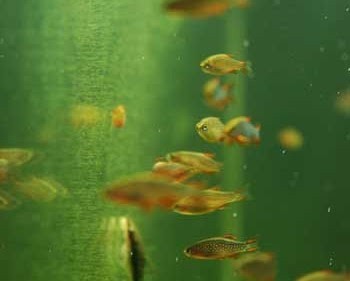 For more reading on the subject, check out my article Understanding Full Spectrum Aquarium Lighting. Ahh, the dreaded green dust algae. This one plagues even experienced aquascapers. What causes it is still not certain. Otherwise balanced tanks often experience it, so I wouldn't worry too much about reducing lights and feeding just yet. I'd try your hand at removing it. It's actually a zoospore, and this is important to keep in mind when trying to minimize the green haze it creates on aquarium glass. The usual tactic, scraping it off the glass with an algae scraper, won't work all that well, because this algae can swim. It will just swim right back onto the glass and re-attach itself. Weird, huh? So there are two ways to combat it. There's the not-so-patient method which involves scraping down the glass while doing a water change and sucking up as much of the algae as possible as you scrape it off. This has mixed results, but if done thoroughly and repetitively, should work. The patient method is to wait 2-3 weeks and not scrape it at all. This allows the algae to complete it's lifecycle, at which point it will turn into a thick jelly-like wrinkled substance. After 2-3 weeks, it will either drop off on its own, or you can safely scrape it off, sucking up the remains. Most people report this method to be most successful and the green dust algae does not return. I've managed to keep it in check with regular scraping and water changes and a handfull of Otocinclus catfish, but it's still there. I'm not that patient to let it grow out! Good luck! That second question was mine. I actually had room in my tank, so I added some more Otos and a BN Pleco (still small). We shall see how they do, but I am also trying out the not scraping method. Once that's done I'll try to keep up with the regular water changes. For the 2nd question, I find I only get it when my tank is lacking in kh2P04. Can negative space be an effective focal point in an aquascape? What about driftwood - not the plants attached to the driftwood, but the driftwood itself (e.g., if you had an interestingly knarled piece)?